Judith is a thought leader, inspirational speaker, insightful consultant and sensitive facilitator/coach who knows how to make a difference. I love to see people doing their best work, delivering strong results and having a great time into the bargain. I truly believe we can all be successful in our own way as long as we use core talent – and there are plenty of different ways to do that! Join me on Twitter (http://twitter.com/changeexperttv) and tell me how you are getting on – share your successes, ask your questions and let’s keep growing and learning together. Inspirational Speaker: A thought leader, Judith loves sharing her learning about people and business. She peppers her talks with stories of real people who struggle and succeed in equal measure, making it easy for the audience to connect to her message. Providing ideas from other companies and from her own research, she inspires organisations to take the next steps in their journey towards excellence. Facilitation: Judith has many years experience working with teams, leaders, managers. Her psychology background means she is expert in managing team dynamics and is known for giving straight feedback in a way that is easy to accept. Executive coach: 35 years working one to one, helping people explore their impact in the world, makes Judith an exceptional executive coach. The combination of psychological understanding, wide experience of working with senior business leaders plus an ease in building rapport gives her an edge in tackling the wide range of situations coachees face. 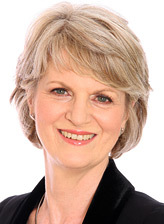 Author: Judith has written three books to date and numerous articles on the subjects of great leadership, inspirational manager, employer of choice and talent development. She also writes customised materials for clients, linked to workshops, company magazines, development interventions. She has an ‘easy read’ style, designed to draw in the reader and engaging their interest quickly. Focusing on real time stories, while sharing her expertise and knowledge, she enables the reader to review their personal experience and take the next step towards their desired goal.